Last night we finished a prototype for charging mobile phones. The LED display shows the produced power, some animations and statistics. 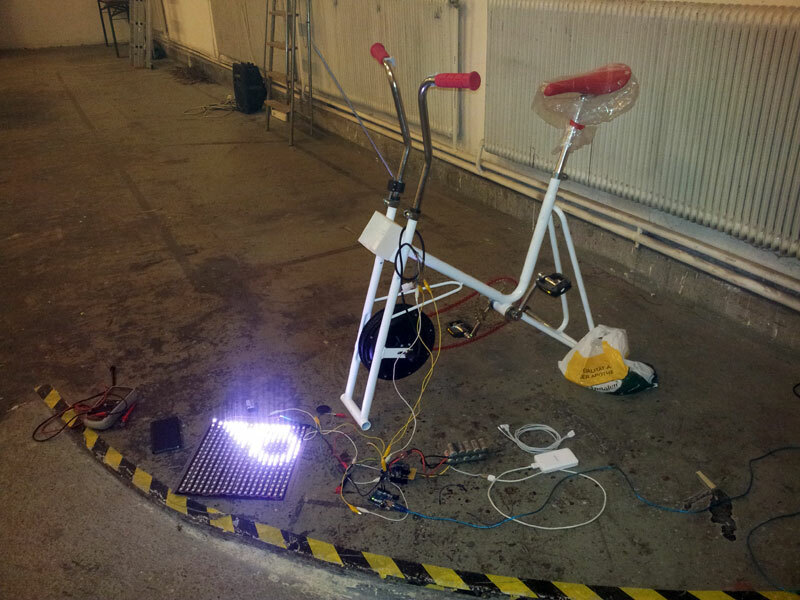 Tomorrow the prototype will be on the Radgipfel 2015 - in Klagenfurt, next week in France. We have implemented the project with IG Fahrrad Vienna.